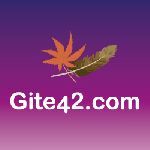 You can use our search box on the left to find your holiday rental in Brittany or else you can scroll down the displayed properties. Just click on the details button and the holiday rental owner's web site will open in a new window. Gite in Corseul Cote D'Armor, Brittany, France - Sleeps 8. Bed & Breakfast in Douarnenez, Brittany, France - Sleeps 9. Villa in Morbihan, Southern Brittany, France - Sleeps 6. 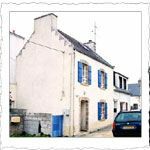 Townhouse in Guemene sur Scorff, Southern brittany, France - Sleeps 6. Cottage in Saint Maden, Brittany, France, France - Sleeps 5. Cottage in Morbihan, Brittany, France - Sleeps 22. Gite in Pleucadeuc, Morbihan, Brittany, France - Sleeps 6. Cottage in Kergrist, Near Pontivy, Morbihan, Brittany, France - Sleeps 4. Cottage in La Chapelle Neuve, Morbihan, Brittany, France - Sleeps 5. Cottage in Brittany, France - Sleeps 6. Gite in La Roche Bernard, Brittany, France - Sleeps 2. House in Dinan, Brittany, France, France - Sleeps 20. Gite in Melrand, Morbihan South Brittany, France - Sleeps 6. Gite in Cotes d'Armor, Brittany, France - Sleeps 4. Gite in Cotes-d'Armor, Brittany, France - Sleeps 5. Gite in France - Brittany - Morbihan, France - Sleeps 6. Cottage in Audierne, Brittany, France, France - Sleeps 6. Cottage in Brittany France, France - Sleeps 6. Gite in Brittany, France - Sleeps 7. House in Trelevern, Brittany, France - Sleeps 8. Cottage in Masserac, Brittany, France - Sleeps 5. Cottage in Cote d'armor, Brittany, France - Sleeps 2.